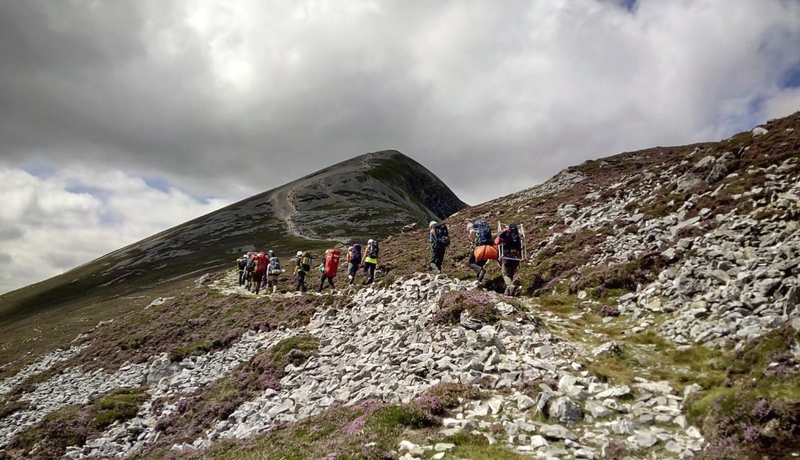 Mayo Mountain Rescue Team (MMRT) is a busy, experienced and dynamic voluntary mountain rescue team which provides a mountain Search and Rescue emergency service (via 999/112) for county Mayo and nationwide, if requested. We operate 24/7, 365 days/yr. 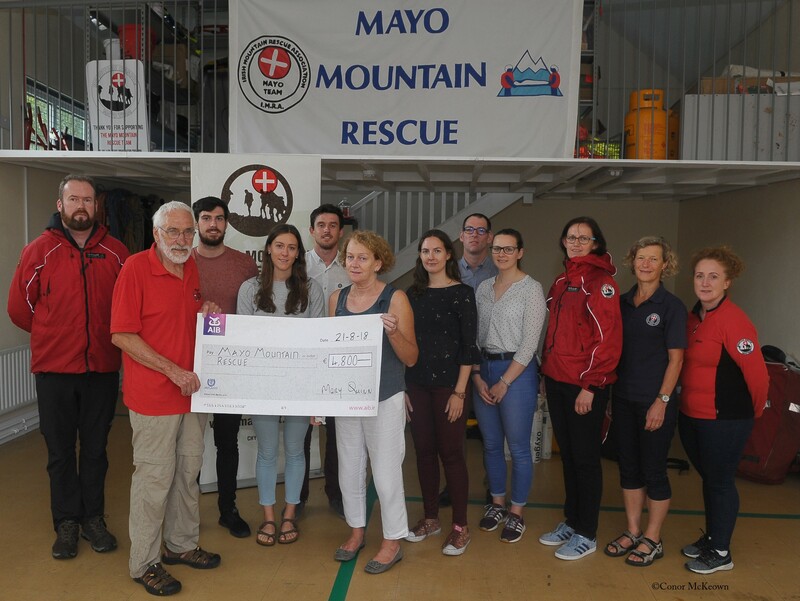 Donation to Mayo Mountain Rescue Team by the family of John Quinn. John Quinn of Castlebar, Co. Mayo, who had been living in Strasbourg, died in a tragic hiking accident in the Vosges mountains in Alsace on the 12th May 2018. John had been leading a group of eight hikers on a 2-day trek when the accident happened, he lost his footing and fell. John’s wife Mary, their three children Darragh, Fionnuala and Nicholas and his friends set up a Mountain Rescue fund to raise money for the local mountain rescue service, Peloton de Gendarmerie de Montagne Hohrod in France, who recovered John within an hour of his fall and to also raise money for the Mayo Mountain Rescue Team.